Customize the behavior of your equipment with just a few clicks to suit your needs. Download gauges from the inApp gauge market. No more searching for gauges, they are just one click away. With the Virtual FIP feature you can even use gauges without extra hardware, displaying them on a monitor or mobile device. SPAD.neXt was started as a replacement software for Saitek Flight Simulation Panels (http://www.saitek.com/). 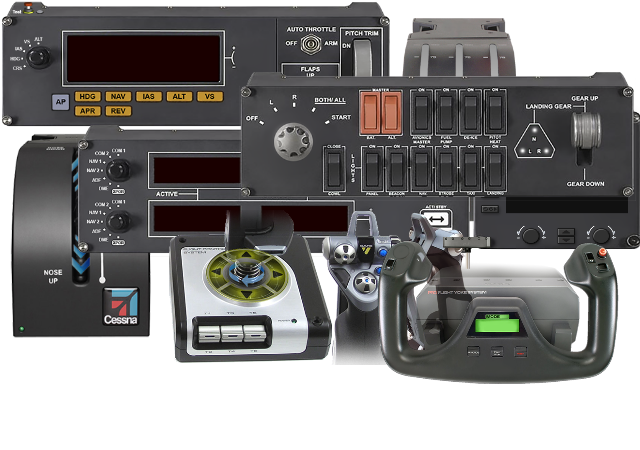 While Saitek provides drivers for their panels, these have several shortcomings, notably lack of configurability and flexibility. SPAD.neXt closes this gap and provides almost unlimited options to configure your panels not only for use with flight simulation software. Now many other hardware is supported and the high flexibility of SPAD.neXt enables you to take your experience to the neXt level. I started using the program when it first arrived and been impressed with the ease of use and the support from day one! Run, don't walk to download and try it.